This blog has been silent a long time. I missed my goal of 50 books in a year that started this blog, but why should that stop me from writing in general? It shouldn’t. I have many hobbies. Too many in some regards. It is hard to get good at anything if you focus all the time on multiple things. However, I only have one hobby of a creative nature–miniature painting. I have always enjoyed art. I took it all through high school, and I would have continued through college, but college does not really have an artistic outlet for those of us that wanted to just “do art.” I had no desire to do it for a living. I am not good enough. I know that. Fast forward to now. I now painting miniatures–both for gaming and for display. I want to be better than I am. Who doesn’t? However, with the paint group that I participate, it is at times very hard not to feel inferior. The painters in Colorado are very good. Very, very good. I improve with each mini, and in order to be a better painter, one must paint. One of my main issues is that I do not finish my minis. I start, get to certain point, and then stop. Why? I am not sure. Part of it is the stage that all minis seem to enter. The really damn ugly stage. Everyone’s minis good through this, but you just need to push through it. 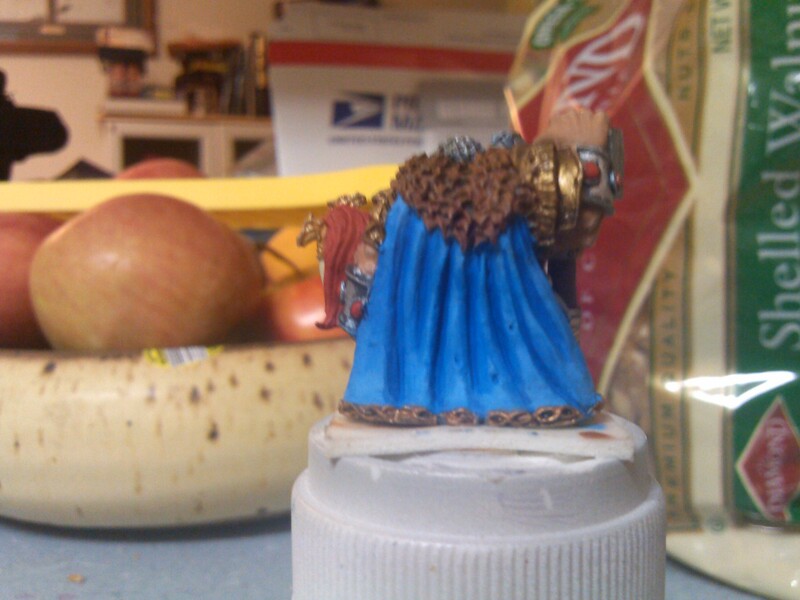 I did with my dwarf lord from the Avatars of War line. I have been working on him for over 2 years. I started him, and I was very happy with him, but I got hit with the dreaded fuzzy primer. I was very happy with what I had already painted, but I had to let it go. It was hard. Very hard. But I did. I finished him this weekend, and I entered him in a local painting contest. I came in 2nd (which wasn’t that hard of an accomplishment), but personally i felt my mini was the best one there. At worst, he was the 2nd best no matter what. The voting was done by the participants, so the others felt I was #2. 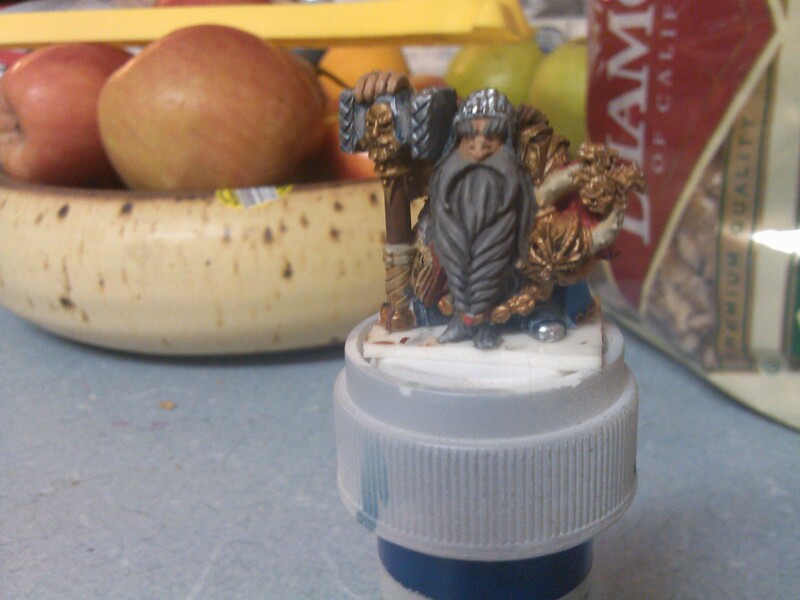 Here at some of the WIPs of the dwarf. I need to take some final shots soon.